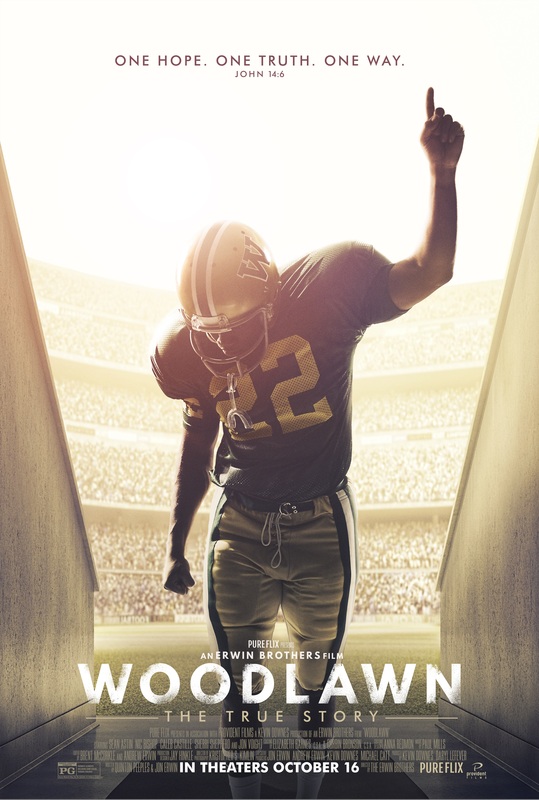 Just released is the new one-sheet for the upcoming movie WOODLAWN. The film is based on a true story, and an example of what happens when a group of students – a high school football team- choose love instead of hate. It’s a story of forgiveness, reconciliation, and healing that is sure to move and inspire your readers. WOODLAWN stars Oscar winner Jon Voight, Sean Astin, Nic Bishop, Sherri Shepherd, and newcomer Caleb Castille, and comes from the makers of GOD’S NOT DEAD and OCTOBER BABY. Synopsis: In 1973, a spiritual awakening prompted by an itinerant lay preacher (Astin) captures the hearts of the Woodlawn High School football team. Led by their coach, Tandy Geralds (Bishop), and fueled by the team’s dedication to love and unity in a school and community filled with racism and hate, the team stands together as brothers, and makes an astounding run at the playoffs, leading to the largest high school football game ever played in the torn city of Birmingham, Alabama, and the rise of its first African American superstar – Tony Nathan (Castille). Voight plays legendary University of Alabama coach Paul “Bear” Bryant. Woodlawn opens in theaters everywhere Oct. 16.